We are currently in the process of starting an online gift shop for our juried consignment artists. In the meantime, you can visit our gift shop at 100 N Main Street, Galax, Virginia. The Instrument Lending Library was donated to CCSA by the Blue Ridge Music Makers Guild for the purpose of continuing it as a lending library for students learning to play an instrument. The student must be actively learning to play – such as taking lessons from an instructor or attending a workshop. Rental is for a period of 6 months, and can be renewed twice for a total of 18 months. The initial rental is $25.00 (non-refundable), and renewal is $15.00 (nonrefundable). Please call Dixie Leonard at Chestnut Creek School of the Arts at 276.236.3500 for more information on renting an instrument from the Bobby Patterson Lending Library. CCSA will look over the instrument before renting it to you, making sure that it is ready to be played. Once it is in your possession, it is your responsibility to prevent damage and take care of issues such as broken strings. Musical instruments should be handled with care and respect. They can be affected by temperature and humidity, as well as by being dropped or jostled. Rough handling can result in broken necks, cracks, missing parts, etc. With proper care, your instrument can last a lifetime and beyond. Instruments do not like extreme heat or cold. In your house, set it away from heat sources including wood stoves and heating vents. Do not leave it in a parked vehicle in the sun or cold – bring it inside with you. If outdoors in hot weather, find a shady spot for your case. Instruments also need to be kept at a proper humidity level. The ideal range is 45-55 percent, which can be measured with a hygrometer. If the air is too dry, wood can crack or joints separate, resulting in the need for costly repairs. If your house is dry (especially in winter), it’s better to keep your instrument in its case and away from heating vents. You can humidify your room to keep it at the proper level, or use an instrument humidifier (available at music stores or other online sources) to keep the case humidified. An instrument is not a toy. Treat it with care and respect. Instruments should be stored and carried in their case. The case should be placed on its side or back, and never face down. The case offers some protection from scratches or bumps, but cannot prevent all damage. Do not drag, throw, or drop your instrument, use it as a foot rest, or stack things on top of it. Make sure the instrument is in a safe place where it won’t be stepped on, sat upon, driven over, or crushed. If anything spills on your instrument, clean it off immediately. Avoid sharp objects that could scratch the surface of the instrument. If you break a string, please replace it. Your instructor can show you how to do this if you do not know how. Do not try to take your instrument apart. If anything falls off or seems loose, please bring it to your Instructor to determine if it is just something that needs to be tightened or if it needs to be repaired. If a repair is needed, bring it back to CCSA. Depending on the nature of the damage, you may be asked to pay for the repair. Chestnut Creek School of the Arts has a gift shop with consignment artists. If you are interested in apply to be juried into the retail aspect of CCSA please complete and return both forms in person to CCSA. 1. An object must be handmade. a. 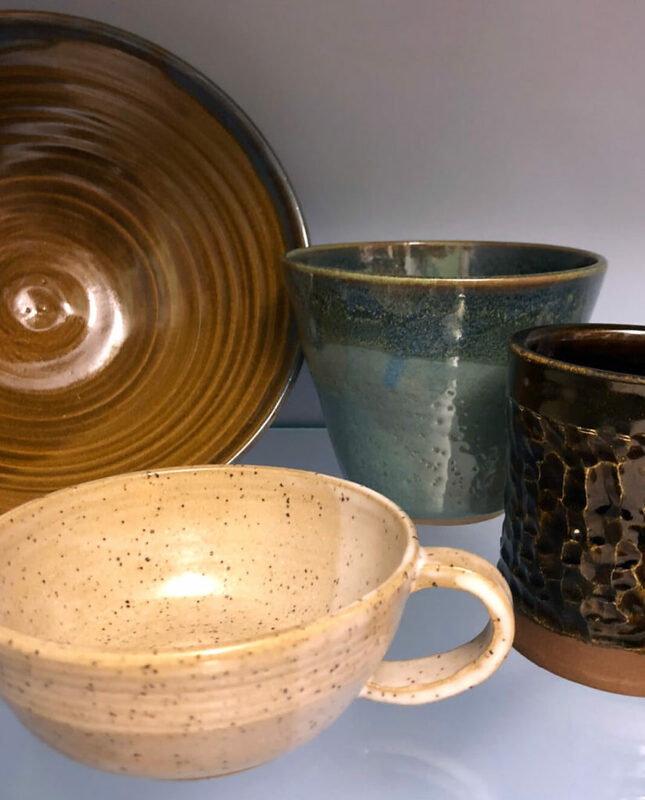 Handmade objects are designated as handmade when designed and made by the applicant using hand tools or hand directed machine tools (such as a wood lathe or potter’s wheel). b. An object will be classified as handmade when of the perceived value (Excluding raw materials) is handmade by the juried Guild member submitting, displaying, or selling the object. Examples: handmade base with a commercial lampshade, handmade jewelry with a commercial backing, handmade weaving with a commercial frame. a. An object must be original in design (no plagiarism by the applicant), or be a historical reproduction with appropriate documentation No kits. 3. An object must be produced within CCSA’s geographical region. Geographical region defined as within 2 hours driving distance of Galax, VA. Exceptions may be made for “headliners” who reside outside of this area and are hired as instructors. 4. The original design or original adaptation of traditional design is made by the applicant. 5. Multiple production techniques must require skills to be executed and performed by the applicant craftsperson. 6. Object must have a significant handmade integral component done by applicant. 7. The aesthetic and/or artistic value of the object must be based substantially on its handmade component. 8. Misrepresentation of materials is prohibited. a. Labeling: If there is a difference between an object’s perceived and actual medium, it must be so labeled. 9. Media Designation: If more than 20% of the object medium is different from the juried media designation, application must be made to the Standards Committee jury for an additional medium designation.